We spent our first official day of Christmas break at the McWane Center. Our membership expires at the end of the year, so we figured we’d get in one more day. 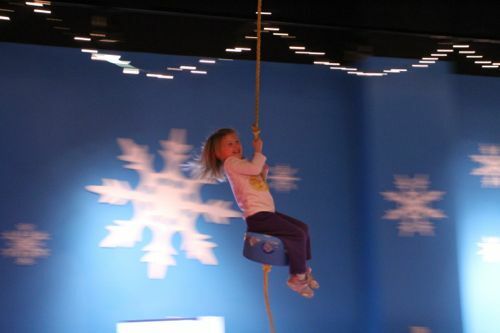 Ellie wanted to ride the zip line this year. She LOVED it! What a thrill! After seeing Ellie have such a great time, Samantha wanted to try too. After some initial concern, she faced her fears and rode down the zip line too. They had a blast! 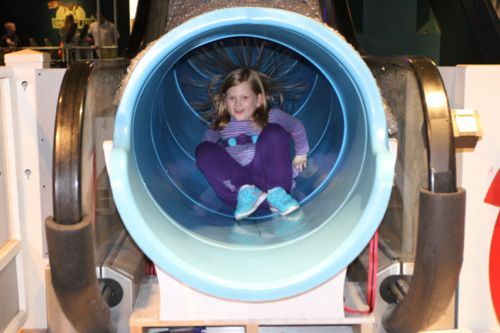 Of course, the trip would not be complete without going down the Ice Slide, petting the sharks, building with the big foam blocks, or digging for dinosaurs!